We took a wrong turn heading for the town of Trout River. We meant to visit the harbour but instead wound up at Trout River Pond. Of course, we eventually found our way to the harbour but the Pond was an unexpected delight nestled in beside the Tablelands. Sometimes a wrong turn is the right thing. The views were spectacular. Not sure of the etymology, but in Ontario a body of water the size of Trout River Pond would be called a lake. In Newfoundland though, 'pond' seems to be the equivalent of 'lake' if Trout River Pond and Western Brook Pond are examples. These are big ponds. 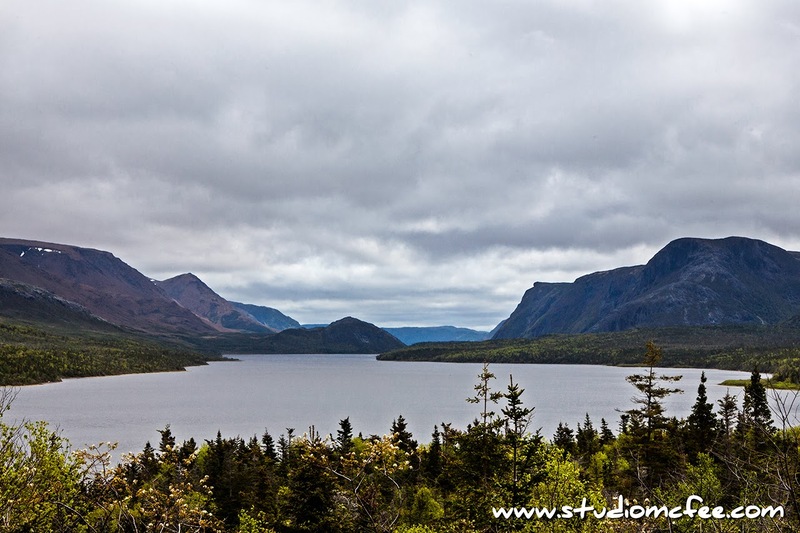 Regardless of the terminology, Trout River Pond is beautiful and definitely worth seeing during a visit to Gros Morne National Park.